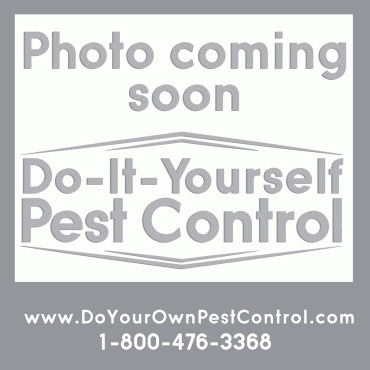 Protect books, library and museum collections with Pro-Pest R.T.U. Silverfish Trap. This ready to use trap by JF Oakes is a smart design which makes trapping silverfish and other insects easy. This trap comes with a food attractant and is safe for pets and humans. It also catches other insects and their larvae, such as Firebrats, Museum beetle larvae, Brown carpet beetle larvae, Psocoptera, and Drugstore beetles. 1. 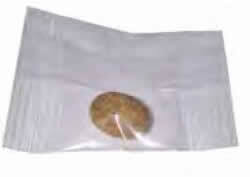 Remove food attractant from packaging. 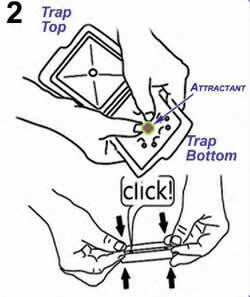 (Important-Bottom side of trap has the 8 tunnel grooves. 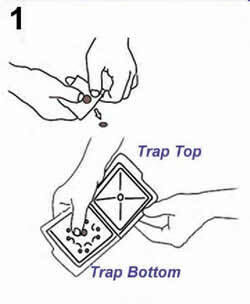 Place the trap on a smooth surface (not on a carpet or rug). Inside where silverfish and other insects and their larvae, such as firebrats, museum beetle larvae, brown carpet beetle larvae, psocoptera, and drugstore beetles are crawling or inhabiting. It works! Get rid of all of my silver fish!